SAN FRANCISCO (PRWEB) – The 2019 Michelin Guide for the San Francisco Bay Area confirms the city as the fine dining capital in the United States. The eight three-star restaurants total more than any other American city (including New York). San Francisco and the region has a total of 80 stars among the 58 venues listed in the 2019 Michelin Guide. The area’s Bib Gourmands, “restaurants that offer high-quality food at pocket-friendly prices,” increased by one this year to 68. Dominique Crenn at Atelier Crenn is now the first female chef in the U.S. to achieve three Michelin stars. Her newer restaurant, Bar Crenn, also received its first Michelin star and was named one of the best new restaurants in the U.S. by Esquire Magazine (see below). The San Francisco Travel Association features Crenn in a video about what makes San Francisco a districting dining destination, available at http://www.sftravel.com/article/5-places-chef-dominique-crenn-loves-within-walking-distance-atelier-crenn. San Francisco Travel offers extensive information about San Francisco as a dining destination at http://www.sftravel.com/explore/dining. The San Francisco Travel Association is the official destination marketing organization for the City and County of San Francisco. For information on reservations, activities and more, visit http://www.sftravel.com, read The San Francisco Traveler or call 415-391-2000. San Francisco Travel operates Visitor Information Centers at Hallidie Plaza, 900 Market St. at the corner of Powell and Market streets, and at Macy’s Union Square. San Francisco Travel is also a partner at the California Welcome Center at PIER 39. For more about San Francisco, follow http://www.facebook.com/onlyinSF, http://www.instagram.com/onlyinsf and https://twitter.com/onlyinsf. San Francisco International Airport (SFO) offers non-stop flights to more than 50 international cities on 44 international carriers. The Bay Area’s largest airport connects non-stop with 85 cities in the U.S. on 12 domestic airlines. SFO offers upgraded free Wi-Fi with no advertising. For up-to-the-minute departure and arrival information, airport maps and details on shopping, dining, cultural exhibitions, ground transportation and more, visit http://www.flysfo.com. Follow SFO on http://www.twitter.com/flysfo and http://www.facebook.com/flysfo. ST. HELENA, CALIFORNIA –Vintner Kathryn Hall, owner of one of the leading luxury Cabernet Sauvignon brands in the world, HALL Wines, has announced details for a unique women’s roundtable event to be held at HALL St. Helena on Friday, November 9, 2018. The High-Powered High Heel’s-titled discussion includes a panel of successful women and risk-takers who will share their stories of the rewards and challenges in their respective careers, and how they have shattered ceilings to help pave the way for their individual successes. The conversation brings together women from a range of industries and backgrounds who will discuss how they’ve bridged various gaps throughout their careers, and collectively share industry insight as they all look ahead to the future. The conversation will be moderated by Academy Award and Golden Globe winner Mira Sorvino who will lead the panel discussion that includes Actress Annie Starke, Technical Emmy Award winner LeShelle May, Founder and CEO of leading luxury fashion brand Maris Collective, Lee Ann Sauter, and Vintner Kathryn Walt Hall. Sorvino will lead the discussion to include topics related to male dominated industries and the shattered ceiling concept, the current political climate, share insight from each about helping bridge cultural gaps in the workplace, and more. Post the 60-minute discussion, guests in attendance will be allowed to ask questions directly to the panelists. The conversation aims to share current perspective from powerful female leaders and to comment on female empowerment throughout the course of their careers – and what lies ahead for each. TICKETS: Limited tickets are available for $400 per person and include lunch paired with HALL, WALT and BACA wines immediately following the panel discussion. Purchase HERE. LISTEN-IN: The public is invited to join the conversation and listen live by visiting www.hallwines.com/LIVE, www.waltwines.com/LIVE, and www.bacawines.com/LIVE beginning at 11:30 a.m. PST to 1:00 p.m. and access the live stream. The High-Powered High Heels conversation will be streamed live complimentary on the following websites – www.hallwines.com, www.waltwines.com, and www.bacawines.com from 11:30 a.m. PST to 1:00 p.m. PST. The two hour event will be held at HALL St. Helena with limited tickets available for purchase via Eventbrite and includes wine provided by HALL, WALT and BACA wines and lunch immediately following the panel. WALT specializes in premier Pinot Noir and Chardonnay sourced from the most coveted vineyards along the Pacific Coast, spanning 1,000 miles from as far north as the Willamette Valley to the Sta. Rita Hills in Santa Barbara County. Led by Winemaker, Megan Gunderson Paredes, WALT represents wines of a place – these special sites where thoughtful viticulture enables winemakers to create expressive wines that reflect the signature personality of each site. WALT farms three estate vineyards and partners with meticulous growers who aspire to share standards of quality. Owned by Kathryn Walt Hall and her husband Craig, WALT honors Kathryn’s parents, Bob and Dolores Walt, who were grape growers in Mendocino County since 1972 and nurtured Kathryn’s passion for vineyards and wine. The WALT Sonoma Square Tasting Room opened in 2012 and is located in Sonoma, CA and is open to the public. For more information, please visit www.waltwines.com or by calling (707) 933-4440. 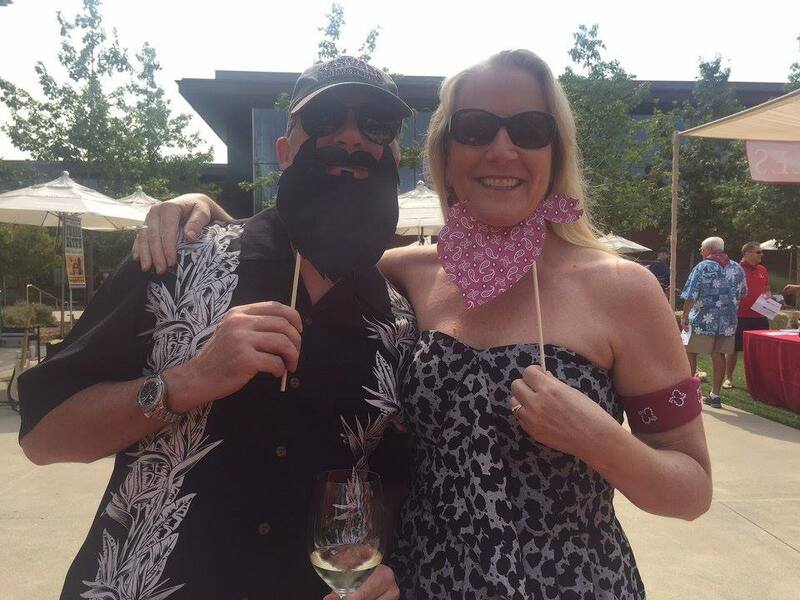 @waltwines #1000milesofpinot. From time to time, we like to call out extraordinary things our friends are involved with. Perhaps the most inspiring project to come of out the Napa Valley in recent years is Kelli White’s encyclopedic book Napa Valley Then & Now. Those of you who have visited Press Restaurant in St. Helena may have had the pleasure of meeting Kelli and gaining her insights into Napa. 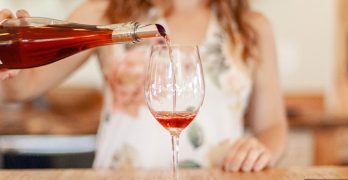 Named as one of the top 10 sommeliers in the country by Food & Wine Magazine, Kelli and her husband Scott relocated to St. Helena to run the wine program at Press. Their goal? Build the world’s most comprehensive Napa Valley wine list. Coming from the francophilic restaurants of New York City, this mission became both her education and the foundation for Napa Valley Then & Now. 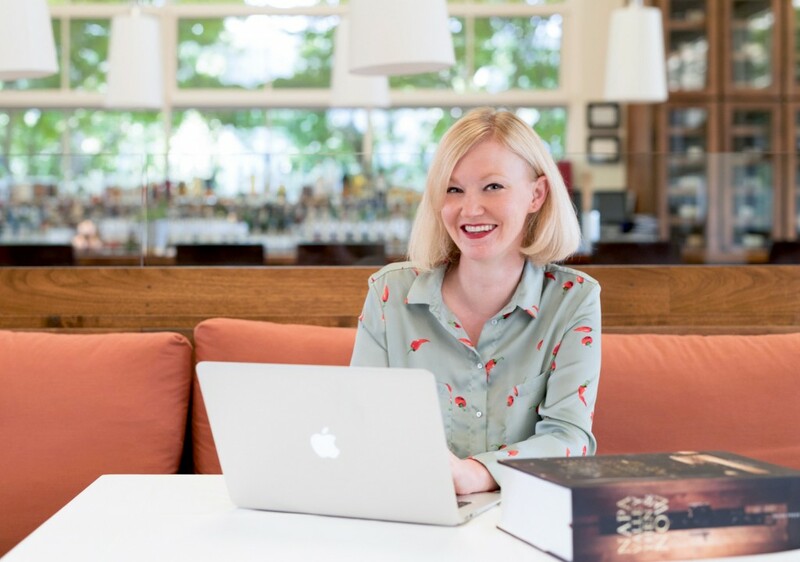 In building Press’s wine program to include over 1500 selections reaching back to the 1940s, Kelli was lead into the cellars of Napa to explore, learn, and ultimately educate the world about the people, history, and wines of this extraordinary place. 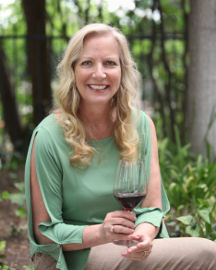 While we locals can sometimes be a bit weary of outsiders, Kelli has become a leading authority on the Napa Valley, and the person I now turn to for questions and recommendations on my own home turf. I first learned of Kelli’s book when she came to interview me about the history of Hourglass. Having grown up here, I was struck by her depth of knowledge, the detail of questions, and her passion for Napa. The breadth of tasting experience she has with older and modern Napa wines is a unique insight very few possess. What I learned later in receiving my copy was that this passion would well up into what may be the most definitive book on Napa ever written. The 3 1/2 inch tome chronicles the history of Napa winemaking by profiling 200 wineries. 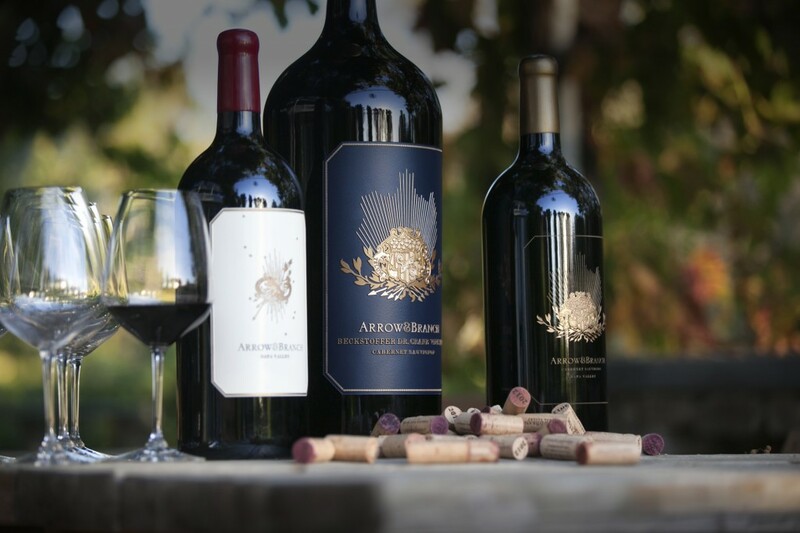 Each winery profile provides an overview of the winery, tasting notes of representative varietals, and vintage aging expectations. Her approach leads the reader through a historical timeline, a comprehensive look at the appellation system, then details each individual winery with interesting and useful insights. A book of this nature could drift into a matter-of-fact listing of details, yet Kelli writes with a structured rhythm, balancing poetic prose against the requisite technical language of our craft in a compelling fashion. For those more schooled in recent Napa releases and unsure of Napa wine’s ability age, her chronicling provides a unique insight not found anywhere else. 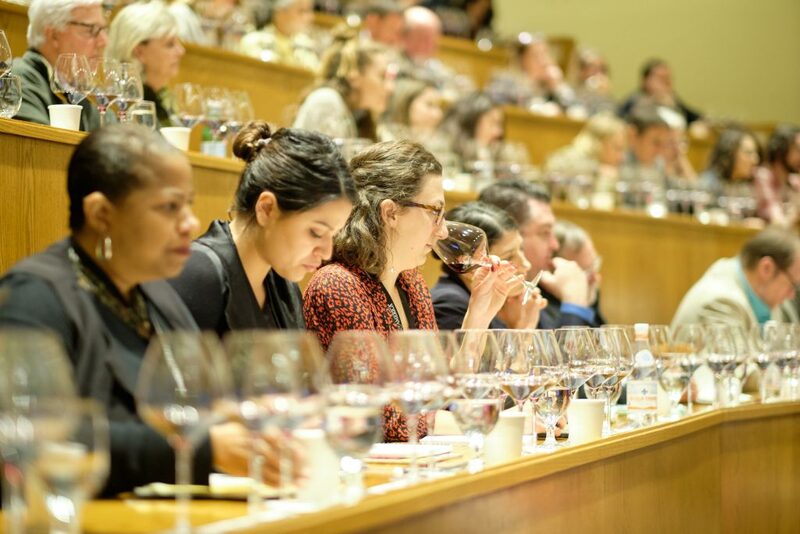 The conclusion demonstrates Napa’s ability to age alongside the great wines of the world. And of course, her writing captures the most forward edges of this grand experiment unfolding before our eyes. I can not recommend Kelli’s book highly enough. It is a monumental effort and a must have for Napa wine lovers. 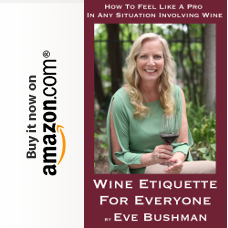 You can learn more and purchase the book directly from Kelli at Napa Valley Then & Now. We hope this finds you well and we look forward to sharing more insights as they come across our radar. ST. HELENA, CALIFORNIA – HALL Napa Valley, one of the world’s most notable Cabernet Sauvignon producers, has announced plans for its ninth annual Cabernet Cookoff to return on Saturday, April 28 at HALL St. Helena. Hosted by Vintner Kathryn Hall, the annual event will feature an impressive lineup of renowned Bay Area Chef teams vying for a chance to win proceeds for a charity of their choice by participating in a food and wine pairing competition. 100% of ticket proceeds benefit Napa Valley non-profit organizations. The event includes a VIP Preview at 11 a.m. prior to the Main Event which begins at 12 p.m.
Fifteen Chef teams are tasked to craft a seasonal small bite that they feel pairs best with HALL Coeur Cabernet Sauvignon. Guests in attendance will sample all pairings to vote on the People’s Choice Awards, and a star-studded panel of Celebrity Judges will taste to vote for the Judge’s Choice Awards. Participating teams include The Grill at Meadowood, One Market Restaurant, Charlie Palmer Steak, Goose & Gander, Paula LeDuc Catering, C Casa, Galpau Gaucho Brazilian Steakhouse, Amiee D’Maris Events, El Dorado Kitchen, Bounty Hunter Wine Bar & Smokin’ BBQ, Brix, Napa Valley Bistro, Sift and Intercontinental Mark Hopkins. Natalie Morales, TODAY West Coast Anchor and Host of Access, has been announced as the official Emcee for the event. Morales will help wrangle in the crowd with event happenings day-of as well as help announce the winners alongside Kathryn Hall. Natalie’s new lifestyle book, At Home with Natalie: Simple Recipes for Healthy Living from My Family’s Kitchen to Yours will be released this April and will be given away to all VIP Ticket holders. The 2018 Judging panel includes Actress Beth Behrs from the hit CBS show, 2 Broke Girls; Celebrity Chef Duff Goldman from Food Network; Bay Area Sports Hall of Famer and Former San Francisco 49ers Executive, Carmen Policy; Michelin-rated Chef, Ken Frank, La Toque, and Wine Critic Virginie Boone, Wine Enthusiast Magazine. Event sponsors include Microsoft, Nixon-Peabody, My Office Products, Bright Rentals, Certified Parking Attendants, ROBB Report, Cypress Grove Cheese Company, ZICO Coconut Water, Signum Architecture, Snap Fiesta, Harvest Sanitation, Private Spring Water, Mark T. Palmer Window Services, Lux Productions, Riedel Glassware, Barbier Security and ALKAR. Both VIP and General Admission tickets are available. VIP ticket holders will experience a Preview offering from 11a.m. to 12p.m. 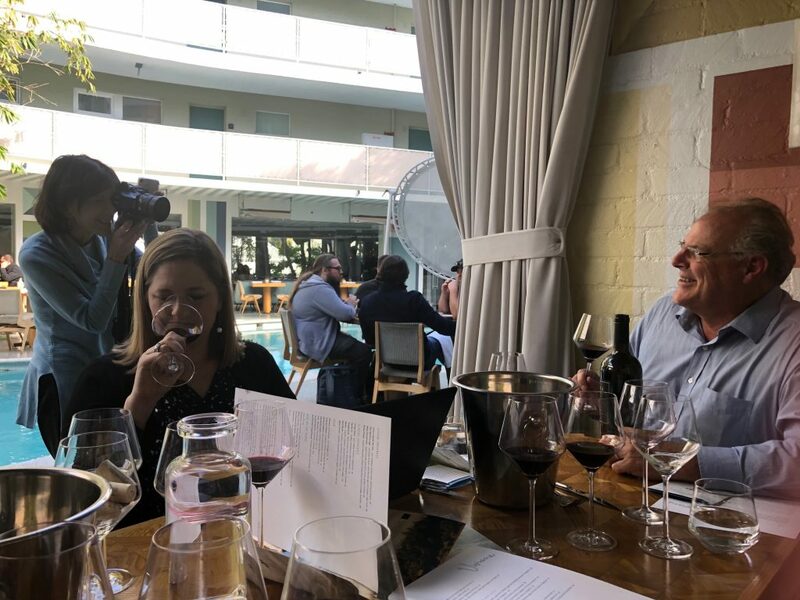 prior to the main event featuring the Celebrity Judges and Host Kathryn Hall sharing their philosophies on what makes a good food and wine pairing. Additionally, there will be a Silent Auction during the event where guests can bid on locally sourced items with all proceeds benefitting Napa Valley non-profits. The 2017 HALL Cabernet Cookoff drew more than 850 attendees for a sold-out crowd and raised $80,000 for local charities. Since inception in 2011, the HALL Cabernet Cookoff has raised $500,000 for Napa Valley charities. For more information, please visit www.hallwines.com/cabernetcookoff or via social channels using #cabernetcookoff.